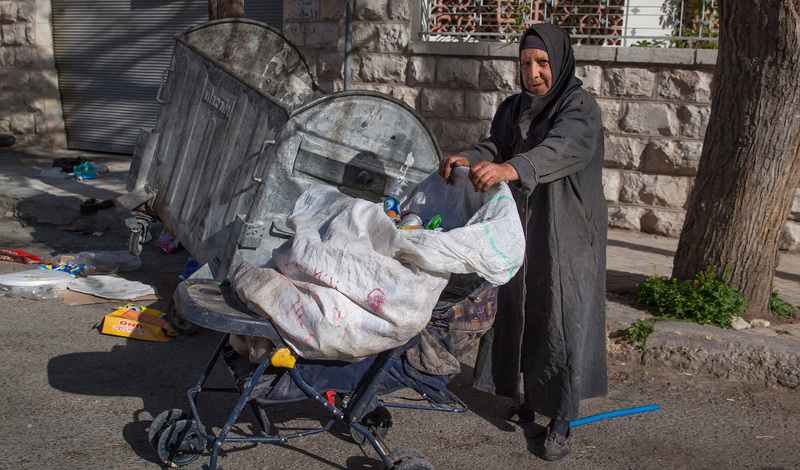 The chain of waste starts with the street collectors on the streets of Amman. The earnings are pitiful, but at least this one is an official collector. It's striking the gracious behaviour of these people when asked for a portrait. 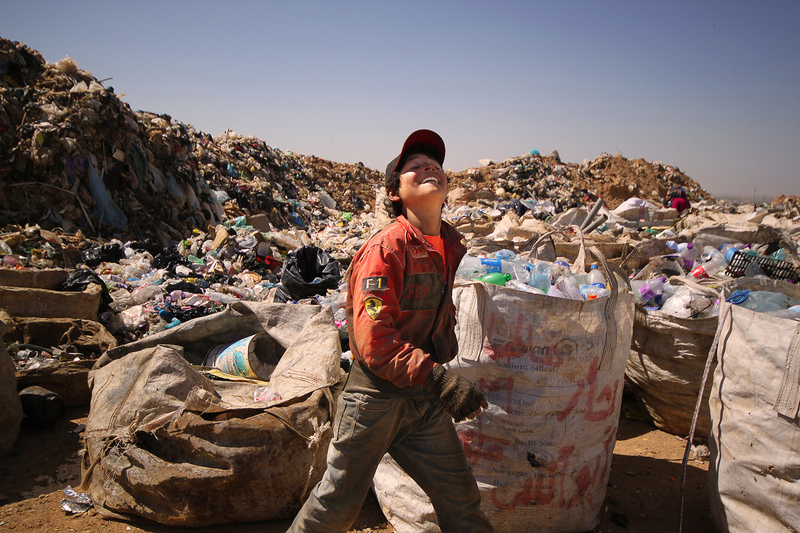 Young Syrian refugee boy working at Jordan’s Al-Elhysniat Landfill-Site, near the Syrian border. His F1 jacket belies the terrible working conditions and intense heat generated working here under the April sun on the edge of the desert. 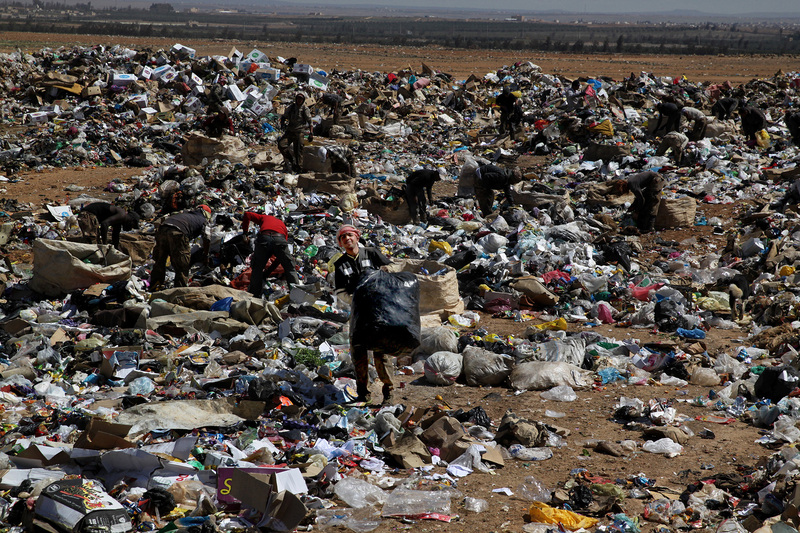 Refugees disguised among rubbish at Jordan’s Al-Elhysniat Landfill-Site, near the Syrian border. Their V-sign was incredulous given the conditions. There is a strict hierarchy concerning those who can unload tree incoming trucks. Only the long-standing workers get "first pickings". 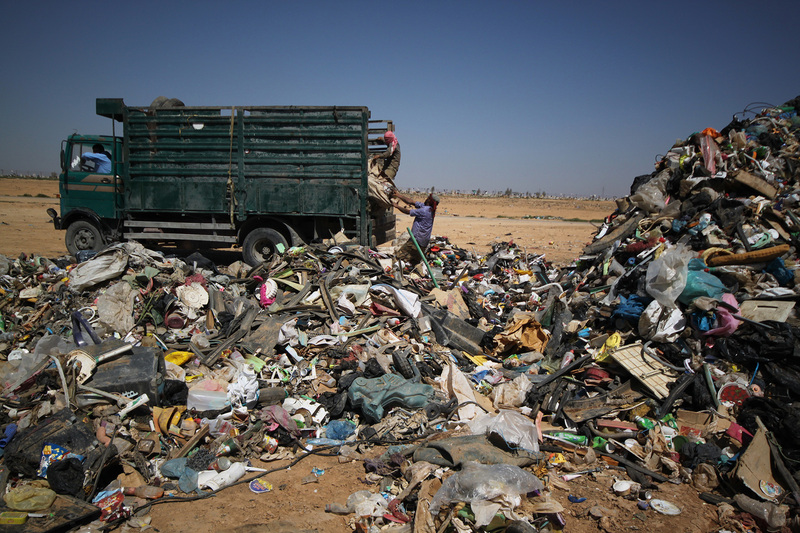 We learned there was a black market in UNDP refugee tents, but we didn't know where they were sold. 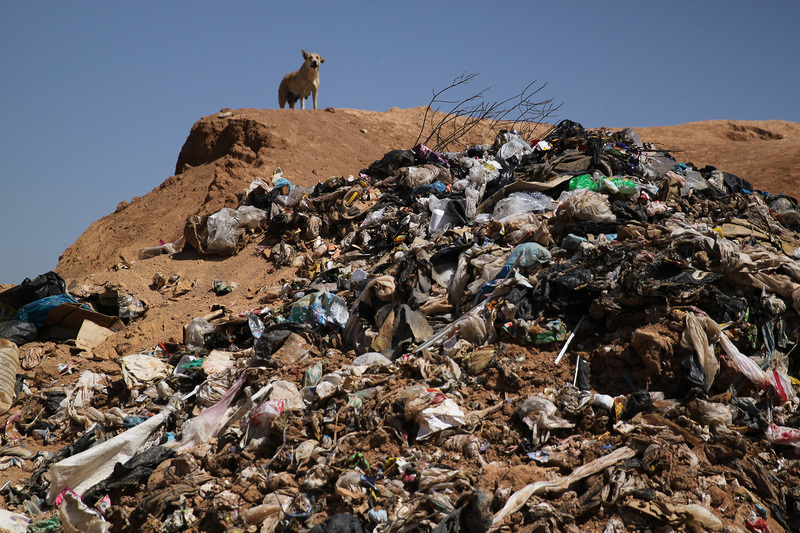 It took three days of painstaking research to finally track down the seller on the outskirts of Amman. 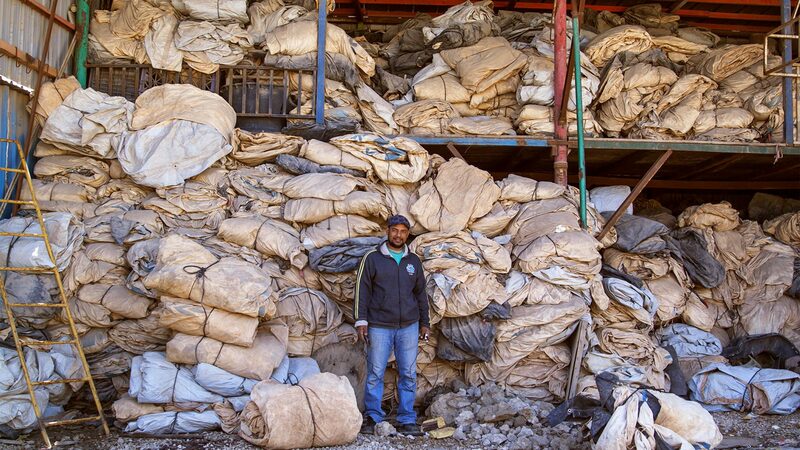 His unit was piled high to the rafters with old tents. It seems there is a healthy market in used tents which command high prices. 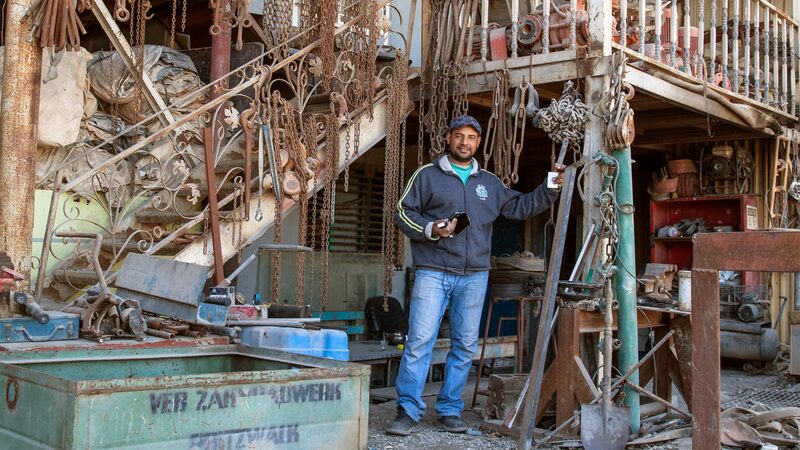 We found this young lad, a Palestian refugee, working in scrap yard on the edge of Amman. 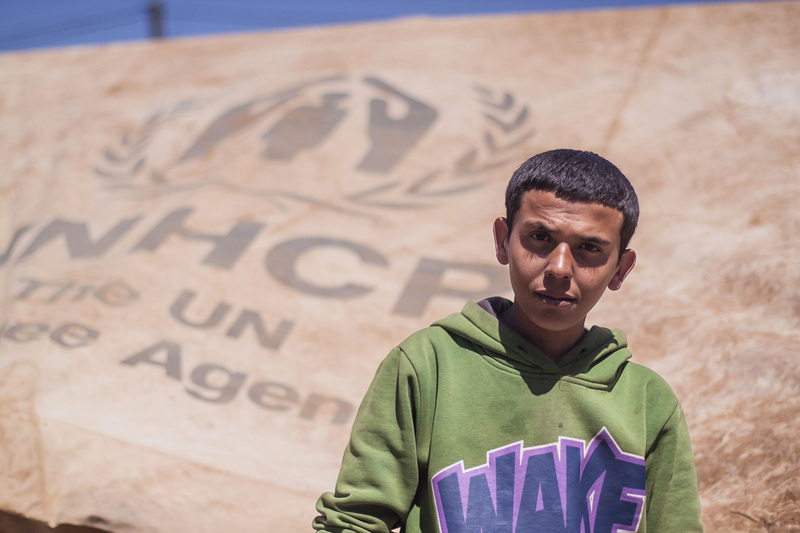 Looking much older than his years, he stands in front of these elusive UNHCP tents. The slogan on his top seems all too prescient. The same seller has metal chains for sale in his unit, but apparently the profits the fractional compared to the UNDP tents. 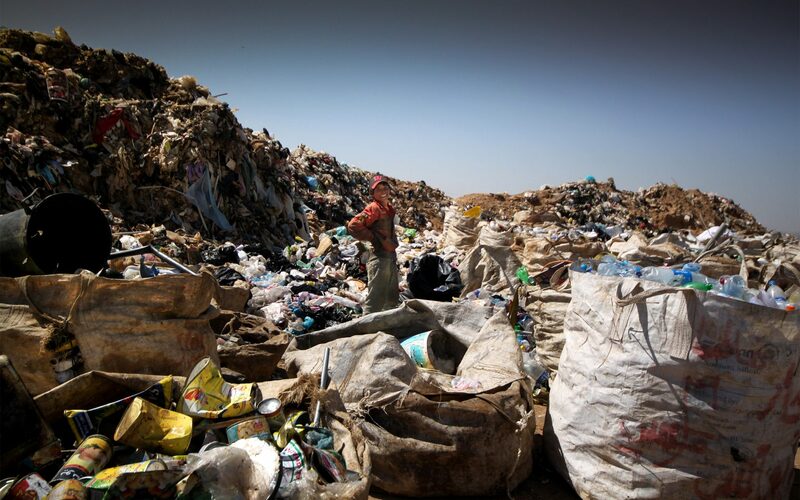 Refugees disguised among rubbish at Jordan’s Al-Elhysniat Landfill-Site, its hard to spot them among the patterns of rubbish. 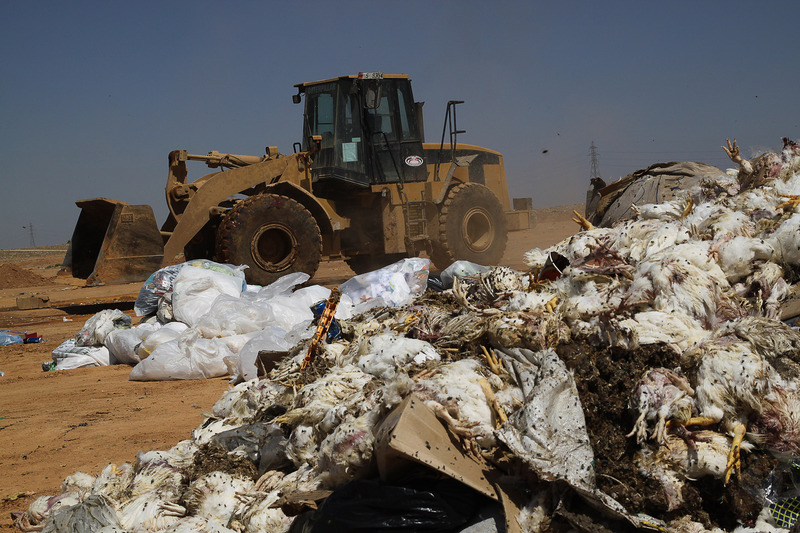 The bulldozers here show their contempt for animal life, squashing chicks mounted high, many of them still chirping as I quickly grabbed this photo. 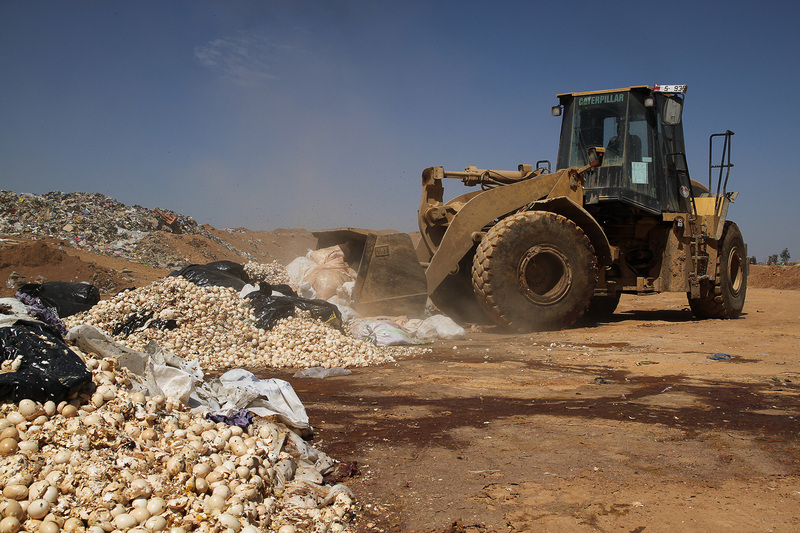 A bulldozer piles high chicken eggs, many of which were hatching in the blazing sun. Catching a few moments of life, before being extinguished moments later. 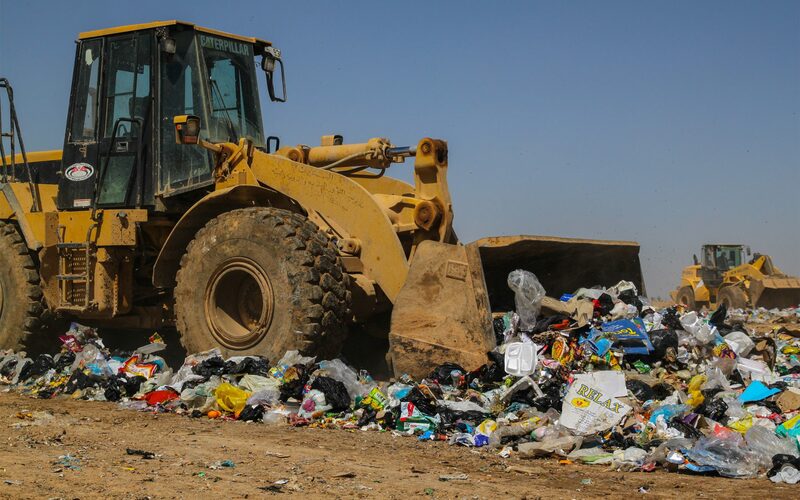 The bulldozers a hammering up and down at the speed of knots, while the refugees have to delicately dance between them to avoid being crushed. I photographed this old lady extremely early one morning. She is an itinerant street collector, and therefore unofficial. 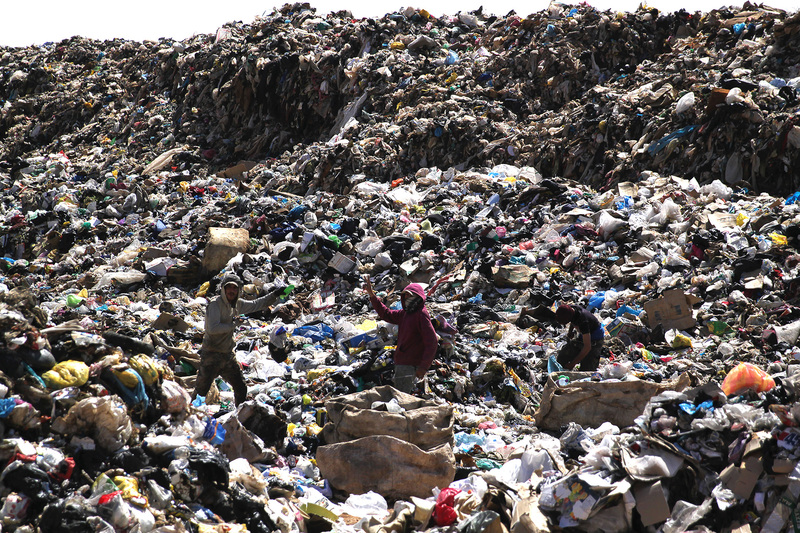 She rifles through the bins looking for old tin cans for which she was will receive a few cents each. 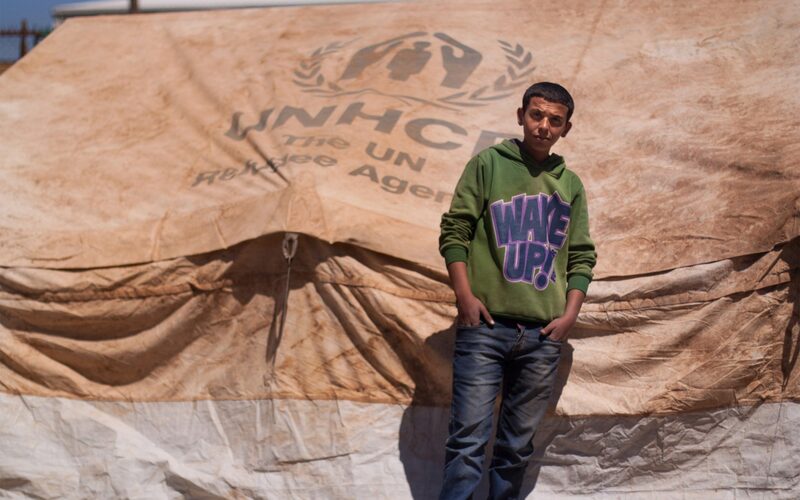 This young lad of 13, a Palestinian refugee, who works by trading recycled goods on the outskirts of Amman stands before his tent. His expression of world weariness appear to defy his tender age. 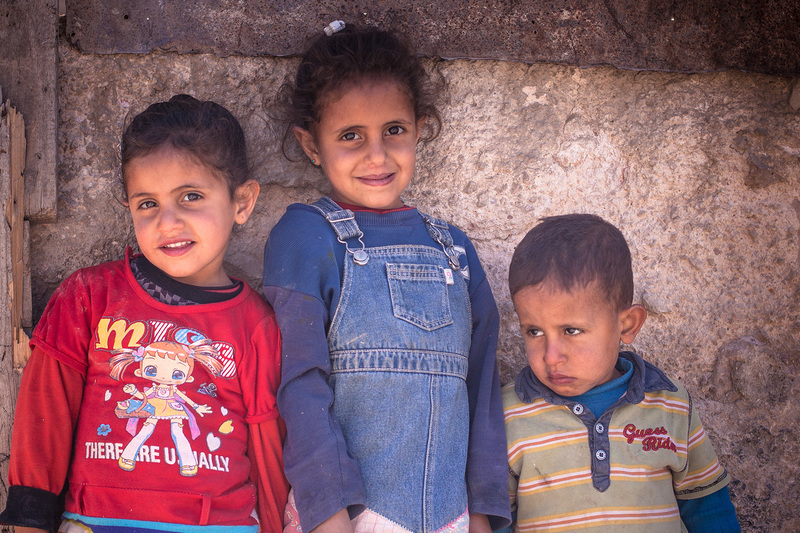 These siblings were playing on the dusty streets, Syrian Refugees – the sisters were very caring of their younger brother, who appear to be very unwell indeed. His sad expression was hard to swallow set against their inevitable fate. 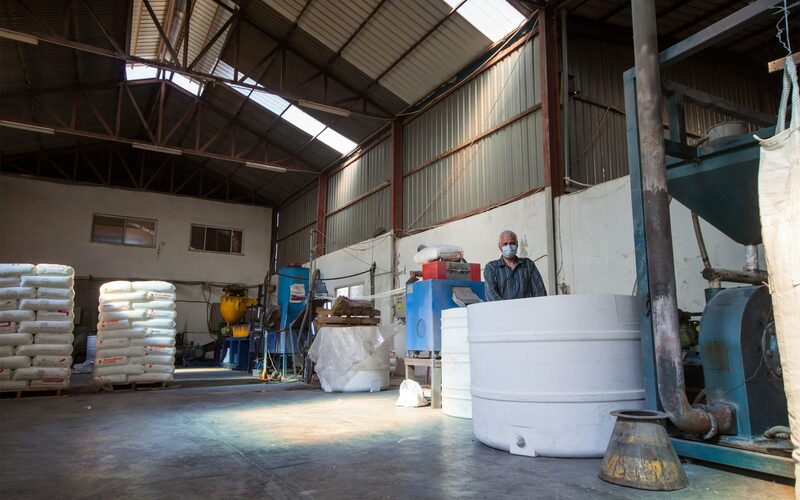 In total contrast to filth of the recycling and scrap yards, we encountered this high-tech, smart factory producing water catchment units to serve the affluent houses all over the Middle East.